Located on First and Main in the heart of downtown Napa and housed in an historic 1880’s building, the Bounty Hunter Wine Bar & Smokin’ BBQ has been voted “Best Wine Bar in Napa Valley” five years running. The old-West themed Wine Bar features an incredible wine list offering more than 400 bottles of great wine off the shelf and over 50 wines by the glass with tasting flights, artisan beers, and a full lunch and dinner menu with the best BBQ around. The Wine Bar is open late on the weekends, which means you’ll have plenty of time to rub elbows with some of Napa’s local winemakers who frequently stop in for Guinness or a glass of Napa Cab. Marc is a Napa native. After graduating from New Tech High School, Marc built his reputation and management chops while working for IN-N-OUT Burger, helping establish the then new Northern California region. After a lengthy stint working for the burger empire, he went back to school and earned his degree in Viticulture and Enology Science at NVC. While attending classes, Marc had the opportunity to work a variety of production roles at prominent Napa Valley wineries such as Stag’s Leap Wine Cellars, Opus one, Far Niente, and Mumm Napa. There he learned the intricacies of wine production, viticulture, and wine business. 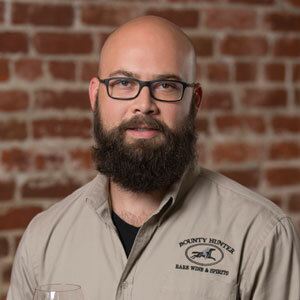 On the off season, Marc worked a server role at Bounty Hunter Wine Bar, and gradually worked his way up the ranks while studying for his WSET certification and Wine Business certification from SSU. In 2017, Marc was promoted to General Manager of the wine bar. Brandon was born and raised in Maryland. He received his BBA in Hospitality and Tourism Management from James Madison University in Virginia. He then earned his certificate in culinary arts from The Culinary Institute of America at Greystone. 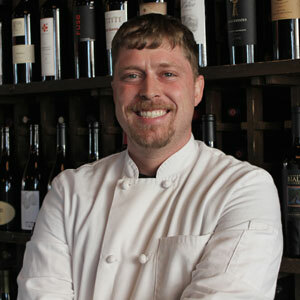 Since graduation Brandon has worked under many notable chefs at multiple different restaurants and catering companies during his time in Napa Valley. He started at Bounty Hunter in December 2014. After sixteen years in the hospitality business cutting his teeth in some of the most reputable restaurants on the East Coast, Jeremy decided he wanted to explore the West Coast. With a developing passion for wine, the Napa Valley was an easy choice. 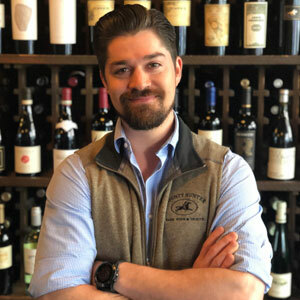 The Virginia native has achieved numerous certifications including the Certified Sommelier title with the Court of Master Sommeliers. He’s passionate about great drinks, and great hospitality – the kind of values that jive with everything we love here at Bounty Hunter.